Welcome to the Support Center for The Dreamwork Summit series presented by The Shift Network. We're excited to offer this incredible online gathering of leading dreamwork experts — and we're also passionate about providing the best support possible to our participants. Please begin by reading through the following Frequently Asked Questions (FAQs). If you don’t find the answer to your question(s) in the FAQs below, you can access additional support links for further assistance at the bottom of this page. Where is the Program Schedule & Replays page? Access the Program Schedule & Replays page. Where are my free registration bonuses? Your registration bonuses were emailed to you when you registered for this series. If you haven't seen them, check your spam folder or contact customer service here. I need help purchasing The Dreamwork Wisdom Collection. Who do I contact? You can purchase The Dreamwork Wisdom Collection by clicking here. You can reach our online Customer Support here: support.theshiftnetwork.com. Or, phone our Order Department during the hours of 9:00am to 4:00pm Pacific, Monday through Thursday: (415) 223-7565. I bought The Dreamwork Wisdom Collection… How do I access my recordings, downloads, and transcripts? You’ll have lifetime access to your collection through your Premium Membership Downloads page, where you'll find the session videos, and exclusive bonuses as they become available. Visit the Premium Membership page here. Enter your email address into the box (the email you used to register for the summit) and click the Sign Inbutton. If you haven’t upgraded and want to, you can visit The Dreamwork Wisdom Collection page to order now. Why does it say The Shift Network on my credit card statement or receipt? The Dreamwork Summit is presented to you by The Shift Network. For more information about The Shift Network, and to find out more about all the programs that we offer, click here. How can I get a refund for my purchase of The Dreamwork Wisdom Collection? Who is The Shift Network? 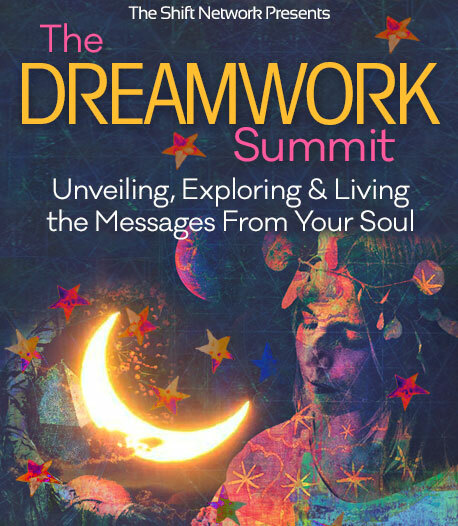 The Dreamwork Summit series is just one program of many produced by The Shift Network. We believe that we are one sacred family — united in our divinity and celebrating our diversity. Together, we can create heaven on earth through personal transformation and inspired action. We are all part of a wave of awakening consciousness, and we each have the power to make a real difference. Now is the time to discover and share your deepest gifts so we can evolve a peaceful, healthy, and sustainable world! You can learn more about The Shift Network here. Thank you for visiting our Dreamwork Summit Customer Support Center!